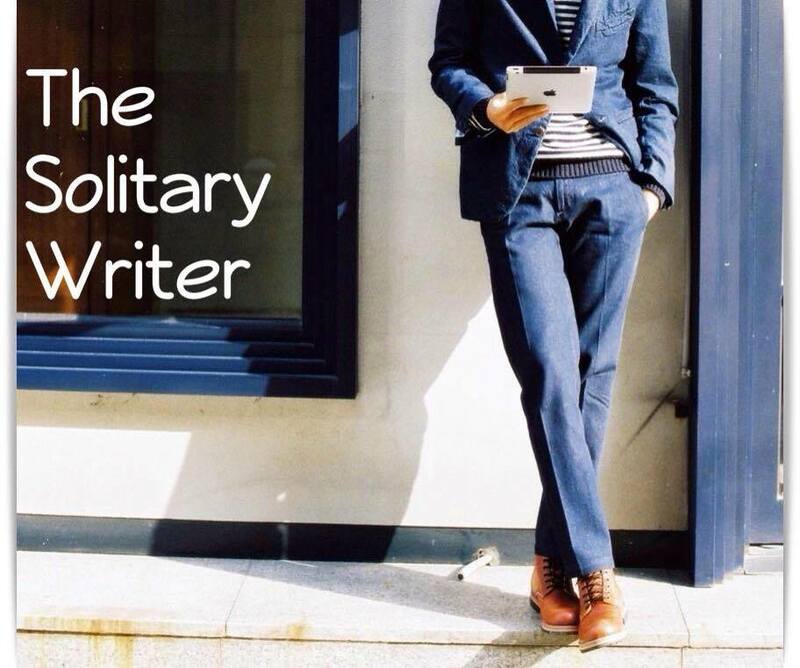 The Solitary Writer is a Personal Blog from India. It is an Arsenal of a Writer that shelters all his creative spears. Having deeply touched by Marcus Gabriel Garcia's writings, the Solitary Writer decided to have an online presence through this weblog. And thus started - The Solitary Writer on 27th Jan 2006! The Solitary Writer has got his stories published in various e-mags and Anthology! I generally go blank when I have to say things about me. To say few lines about me - I had been associated with writing since my young days. This dalliance with writing dates back to class VIII. Then, my fellow classmates used to write Essays and Prose lifted from Navneet and I wrote my own Essays and Proses. One day, it occurred to me that my English teacher had called me to the Staff Room. It was only then I realized that she had liked my writings. She surely had made my day! That day she advised me to focus on writing and asked me not to disconnect this art with which I am deeply associated with! That day she made me realize my hidden potential - Writing! It is something that completes me! My English teacher had been a great fan of my writings since then. Thank you to her! If it wasn't her, my writings would have been lost with time! People, whom I meet at various Blogger meets and social media websites generally ask me one common question - Why the Solitary Writer? They assume that I'm lonely and that's why this name! No, No - The assumption is wrong! I have an ocean of friends and I'm a social bird. You might still be wondering - Why the Solitary Writer? It would be ironic if I had to link the Blog name and the reality. A Solitary Writer and a Social bird are two contrasting example. It's an astonishing fact that generally creative ideas stroll through my mind when I am alone! Hence, to facilitate and enhance my writing process, I have kept this pen name. Thus, justified! Isn't it amazing! I'd been a vagabond who traveled across New Delhi, Pune and Mumbai. I am based out of Mumbai, Maharashtra. 1. The Writers Lounge - Co-Founded a community with fellow bloggers Sandeep Balan and Asbah Alaina from Pakistan. The Writers Lounge ruled the blog world between 2008 and 2011 and it has been a base for connecting several bloggers. It was the first kind of blog that set up a platform for blogs. The blog has been defunct now but the old memories are still being reminisced by old regulars through a Facebook Group! 2. R4Review.com - Co-Founded a review website with fellow bloggers Ankit Jain, Brajmohan Kumar and Ashwin Pathak. R4R has several reviewers who are adept at writing reviews on different subjects such as travel, books, movies, gadgets, blogs, websites, beauty products, mobile applications and so on!